Locale Head Chef Andy Davies boasts an enviable resume, and after more than 35 years working in kitchens it is the quality of produce he is most passionate about. Like many accomplished chefs, Andy’s love of cooking was inspired by his mother’s encouragement for him to help prepare the evening family meal. He started his apprenticeship in Adelaide at age 17 and was a qualified chef at the age of 21, working as sous chef in 1 hat restaurant La Terrace Reilly’s. Andy continued his career in Sydney, where he worked in some of the city’s most iconic restaurants including Bayswater Brasserie, Bluewater Grill, Bathers Pavilion and Bondi Trattoria. Andy’s many career highlights include receiving the coveted 1 Hat accolade for three consecutive years as Head Chef at both Streeton’s Restaurant and Darling Mills Restaurant. His signature dish Angel Hair Pasta with Raw Tuna has sold more than 100,000 plates since its conception while Head Chef at Bondi Sports Bar. 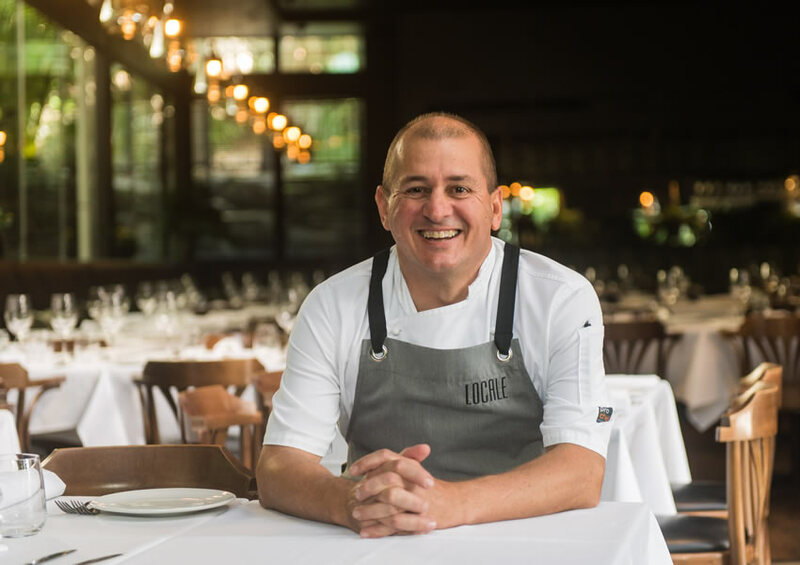 Andy has added his trademark flair to the strict Italian menu at Locale, bringing a modern twist to the dishes which are always inspired by the abundance of fresh produce on the Sunshine Coast.